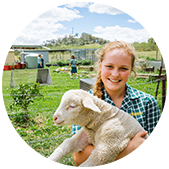 Mount Annan Christian College | Nurtured. Grown. Prepared. located in peaceful and idyllic grounds in the Macarthur region. 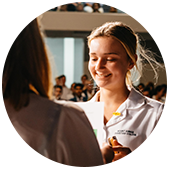 STEM_ed is an initiative designed to combine the study of science, technology and mathematics, equipping students to focus on solving real world challenges. 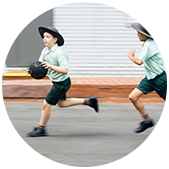 Our sports program offers students a range of sport options and activities, including state carnivals and gala days. 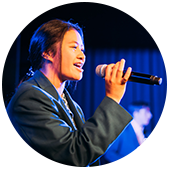 Our music program offers specialised tutors with extensive experience to develop students’ musical ability with an instrument of their choice. From local and overseas missions, to our Church time program and chaplaincy, Christian faith is part of the fabric of our school. 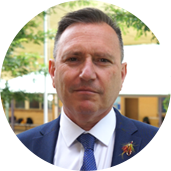 The vision of Mount Annan Christian College is to provide a Christ-centred learning environment that empowers each individual to live a life of purpose. "Studying at MACC helped me to reach my potential academically and spiritually." "MACC has prepared me for a competitive university degree and work environment. Not only was I equipped academically, but I was equipped with practical lifelong skills and values." "MACC has taught me two important values: intelligence, and character." "We knew about MACC before we moved to this area, it's actually one of the reasons we moved here. We're so happy with our choice. The care and attention shown to our daughter has been matched only by their attention to academic excellence. MACC is definitely the right place for our children."